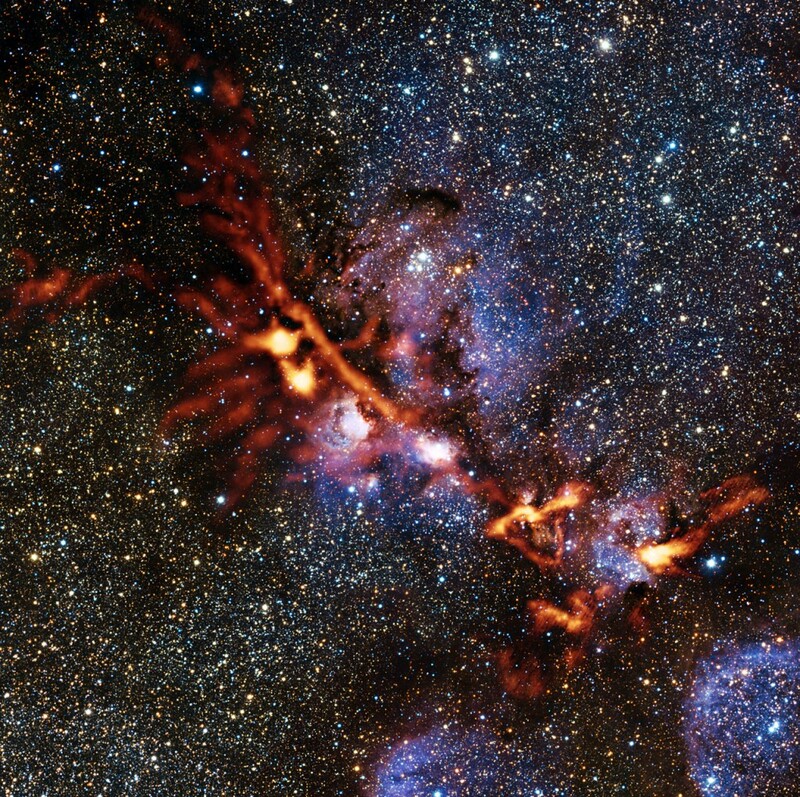 This is a brand new image of star formation region called NGC 6334 or called the Cat Paw nebula, taken by the new Atacama Pathfinder Experiment (APEX) camera. Actually APEX isn’t new but a camera called ArTeMiS, a new wide-field submillimetre-wavelength camera, was installed and can bring more in depth details to the images. The telescope is a 12 meter diameter telescope located high in the Atacama Desert. It operates at millimetre and submillimetre wavelengths which is between infrared light and radio waves in the electromagnetic spectrum. The camera completed the tests and will now take a trip to Saclay in France in order to install the additional detectors in the instrument. According to the ESO (European Southern Observatory),”The new generation detector array of ArTeMIS acts more like a CCD camera than the previous generation of detectors. This will let wide-field maps of the sky be made faster and with many more pixels.” This camera will let us peer deeper into the universe and help us uncover more mysteries.